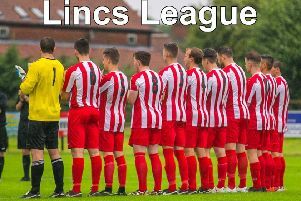 Louth Legends stayed top of the tree in the Louth Leader Six-a-Side League with a routine win over bottom side Team P and B. Their 4-0 victory kept them top of the Premier Division on goal difference from Mark Donner AFC who didn’t have to break sweat with a scheduled points match fixture. Louth All Stars moved up to third, five points behind the pacesetters as they edged past Game of Throw-ins 2-1. The All Stars leapfrogged LA Crusaders who were held to a 1-1 draw by lowly Petr Cech Yourself. * It’s as you were at the top of the Louth Leader Championship as Job Centre XI continued their march to the title with a slender 2-1 win over Susie’s Stars who slipped a place to fourth. The result left them three points ahead of nearest rivals Louth OGz who edged past Golden Oldies 3-2 thanks to a man-of-the-match performance from Frazer Chapman. Sub Standard moved up to third, five points off the pace as they beat #DS9 by the odd goal in five, while bottom side Tekkerslovakia broke their duck for the season, recording their first win, 1-0, against Real SoSoBad. But they remain five points adrift of second-bottom Stroke T despite their 2-1 defeat to mid-table Dragon Men.